Spring Cleaning Giveaway Hop. 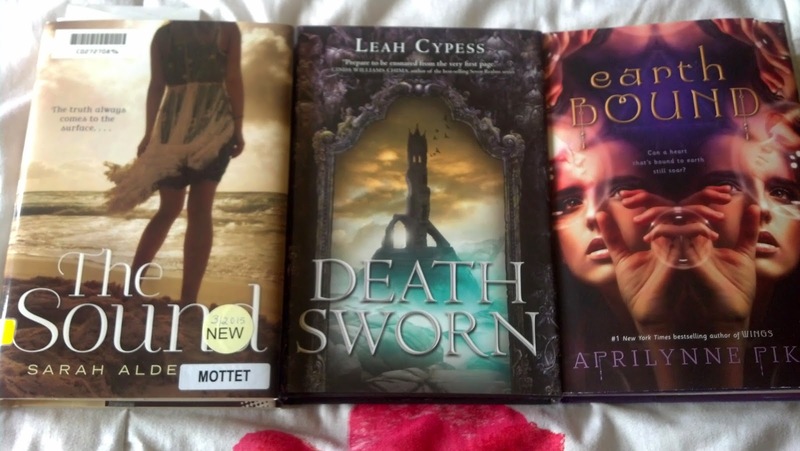 Enter to win a book from you shelf! Nice haul! Death Sworn and Earthbound are two I really want to read. I hope you enjoy all of these! Happy reading! The Devil You Know sounds really great- I hope you enjoy it! You got some great books this week! I love that read good variety. I try to as well. All of those books sound like something I would want to read. Graceling! It's been so long since I read that one I should really do a reread. I hope you enjoy them all. Interesting stack of books this week. I hope that you love all of your new books. The Devil You Know and Graceling look amazing but I haven't read either of them yet :-( Hope you enjoy your new books! 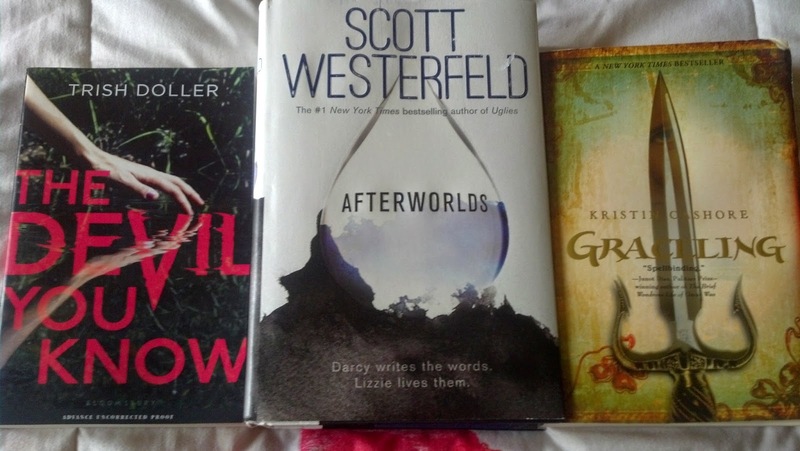 I still need to read my ARC of Afterworlds that I got at BEA last summer. Great haul! I've read Graceling and I really enjoyed it! Good haul, I hope you enjoy it as well!